AT&T Audience Network has picked up its original comedy series Loudermilk for a 3rd season. Production for the 10 30-minute episodes is scheduled to begin in spring in Vancouver with the premiere launching later in the year. Big Branch Productions will continue to co-produce the scripted series. Peter Farrelly (Green Book, Dumb and Dumber, There's Something About Mary) and Emmy(R) Award-winning writer Bobby Mort (The Colbert Report) will serve as writer-creators and executive producers. Farrelly, Mort, AT&T AUDIENCE Network's Shane Elrod and Kate Regan and Big Branch Productions' Bart Peters will also serve as executive producers. SYFY's New Year's Eve marathon of The Twilight Zone is returning for its 23rd year beginning Sunday, December 30 at 11pm ET/PT and running through Wednesday, January 2 at 6am ET/PT. 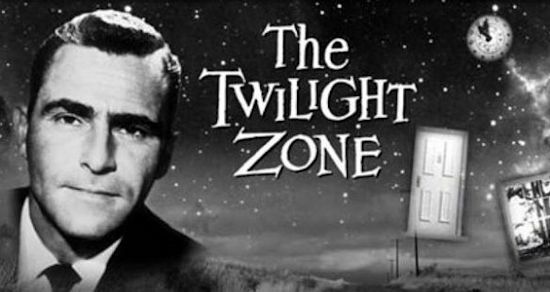 Fans of a dimension as vast as space and as timeless as infinity will have plenty to celebrate in the new year as The Twilight Zone, which originally aired in 1959, will be celebrating its 60th anniversary. Some of the fan-favorites included in this year's 112 episode lineup will be "Nightmare at 20,000 Feet" (Starring William Shatner), "A Quality of Mercy" (Starring Leonard Nimoy), "The Monsters are Due on Maple Street," "The Invaders" and "The Encounter" (Starring George Takei).